Lauded for their “high-energy” and “impressive” performances, the Bel Cuore Quartet (BCQ) has been sharing visceral and compelling chamber music with audiences since 2009. 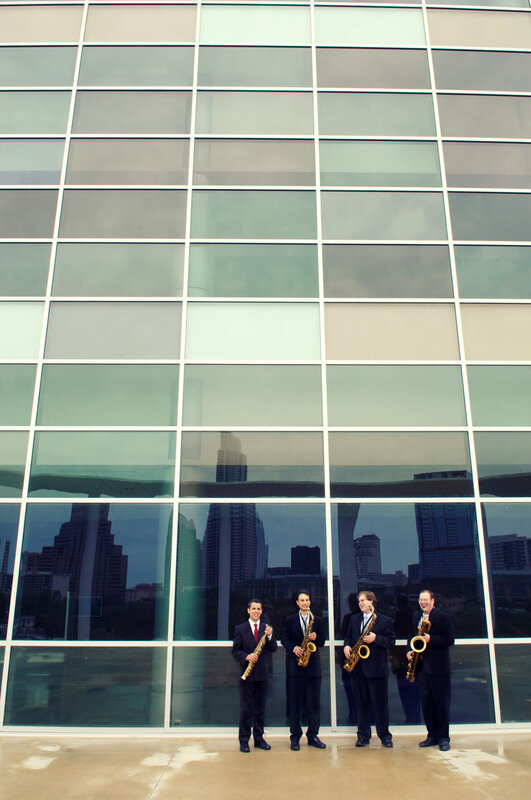 Twice nominated for “Best Classical Ensemble” by the Austin Critics’ Table, the quartet focuses on works by living composers to create engaging and memorable experiences for audiences. BCQ has performed concerts all over the world, including engagements at the SXSW music festival, the Sibelius Academy for Music in Helsinki, Finland, the Contagious Sounds series in New York City, Marfa Public Radio, KQUE Hum Tum Radio in Houston, and the Fast Forward Festival for new music. BCQ has worked closely with leading composers such as Jennifer Higdon, John Corigliano, Steven Snowden, Ian Dicke, Donald Grantham, Christopher Stark, Victor Marquez, Asha Srinivasan, David Biedenbender, and Robert Honstein in various chamber and large ensemble configurations. They have been featured as performers on several commercial recordings on the Naxos, Mark Masters, and Longhorn labels, including Over the Rainbow and Bach Again, Tex Sax Next Generation and Circus Maximus, all available on iTunes.